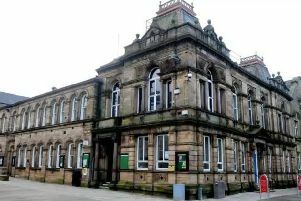 Pendle Borough Council members have voted unanimously to kick off the process to break away from Lancashire County Council. The proposal was tabled by the Conservatives, but received support from the Labour and Liberal Democrat groups. The council will now begin talks internally between the political parties as well as a dialogue with the Government and other councils in East Lancashire to investigate what options are available to them. It could see Pendle merge with neighbouring authorities such as Burnley, the Ribble Valley or Rossendale. A Unitary Authority would mean that the functions of both Pendle Borough Council and Lancashire County Council would be carried out by one council based more locally but would probably need the support of at least one other local council. The Conservatives launched then bid because they felt that the huge authority is too distant and doesn’t best serve the people of Pendle. Deputy leader of Pendle Council, Coun. Paul White, who moved the motion, said: “I’m delighted our plan to look at this was supported by all parties in Pendle. It would mean less bureaucracy, less councillors, a more joined up approach and a louder voice for Pendle when it comes to things like economic development. "There are clear benefits too for local people for services like Highways being delivered locally." There will now be a dialogue with other councils in East Lancashire to see whether there is an appetite for them to break away with us but the early indications are that there is support out there. Coun. White added: "This isn’t reflective on any one party, I think it’s something that people in Pendle have felt for a long time and we’re here to represent those people. It makes perfect sense to rationalise the councils.